The Drillshed are committed to protecting your privacy. We will only use the information that we collect about you lawfully (in accordance with the Data Protection Act 1998 and General Data Protection Regulations 2018). We collect information about you for 2 reasons: firstly, to process your order and secondly to provide you with the best service possible. We will not email you in the future unless you have given us your consent. We will give you the chance to refuse any marketing email from us in the future. This information is already stored on our internal systems and our website simply verifies you as a customer of The Drillshed. We will never collect sensitive information about you without your explicit consent. The information we hold will be accurate and up to date. You can check the information that we hold about you by visiting your account or emailing us. If you find any inaccuracies, we will delete or correct it promptly. The personal information that we hold will be held securely in accordance with our internal security policy and the law. We will not transfer or sell your information. We may use technology to track the patterns of behaviour of visitors to our site. If you have any questions/comments about privacy, you should email us at help@thedrillshed.com. When you place an order, we need to know your name, email address, and delivery address. This allows us to process and fulfill your order and to notify you of the status of your request. We may also ask for your telephone number, which enables us to contact you urgently if there is a problem with your order. Your e-mail address will be used for our marketing purposes unless you unsubscribe. It is possible to unsubscribe at any time, via your account section of thedrillshed.com. 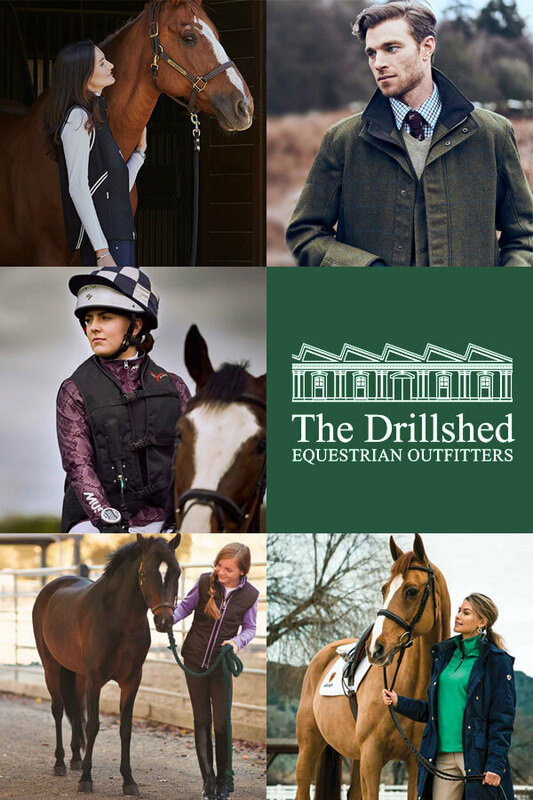 If you do not wish to receive information about our products or services you can unsubscribe by clicking the unsubscribe link at the bottom of all marketing emails sent by The Drillshed, or by managing your subscription status in your account pages on the The Drillshed website. The Drillshed does not sell, trade or rent your personal information to others. To better tailor our services to our customers' needs, we use non-identifying and aggregate information to help us make decisions on how to improve The Drillshed. We also share this generic information with our advertisers and other interested, reputable parties with whom we have established a formal business relationship. For example, we may tell advertisers which areas of the site have received the most customer traffic overall, or more specifically, how many customer types have visited certain pages. However, we do not disclose the identifying information of individual customers with advertisers. We also do not use or share the personally identifiable information submitted to us by any other means without providing our customers the choice to opt-out or otherwise bar such unrelated uses. The Drillshed may from time to time share your details with third party analytical resources for the purposes of better understanding of customer behaviour and performance, website performance, improved ad relevance and any other analytical process to give The Drillshed a better understanding of how to develop its offering to its customers. These third parties will be employed solely for the aforementioned analytical purposes, and as such The Drillshed will ensure that the third party is contractually obliged to use the data only for the analytical purposes set out in the agreement between The Drillshed and the third party, and The Drillshed will also ensure that the third party is contractually required to maintain a level of security around the shared data, at least as safe as The Drillshed itself employs. Failure on the part of the third party to meet its contractual obligations will result in The Drillshed recovering the data and taking all reasonable actions to ensure the third party no longer has access to the shared data. Any third party cookies used on The Drillshed will adhere to the same standards as first party cookies and not collect any personally identifiable information. The above privacy statement may not be applicable in all countries of The Drillshed visitors or registered community users, as security policies may vary according to the individual Internet laws in each host country. We will not pass your information to any third parties. You can also email us to stop receiving any information about us and our services by clicking here. If you have any queries about our Privacy Statement you should contact us by e-mail help@thedrillshed.com.